It started with brightly blended drinks and moved on to pastel rainbow hair—now you can try your “neck” at the unicorn trend in a subtle, sophisticated way. 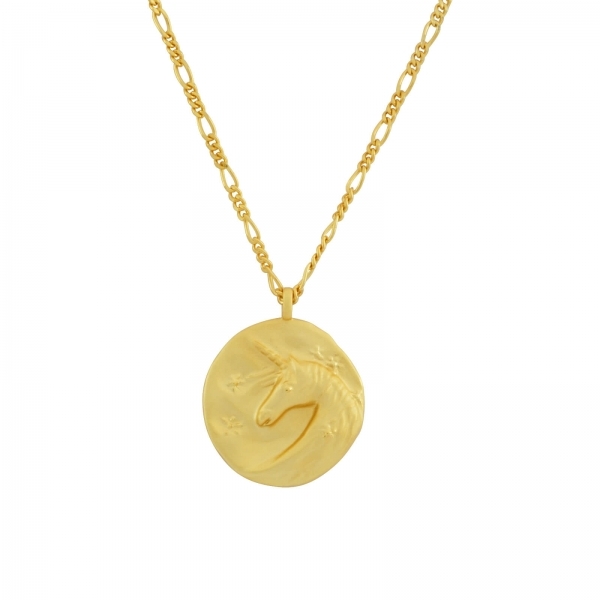 The mythological creature revered for its beauty and charm is a worthy candidate for this luminous pendant. On a necklace that looks worldly and antique, the unicorn relief is like the lucky creature itself: one of a kind.